Home / Advertising / The major changes in Google’s Ad layout. In Advertising, communication, Digital Marketing, Google, Google Adwords. On 19 th Feb, 2016 Google confirmed that desktop search results pages will no longer show the text ads in the right sidebar. Four text ads will be displayed above the organic listings and three text ads will be shown at the bottom of the page. 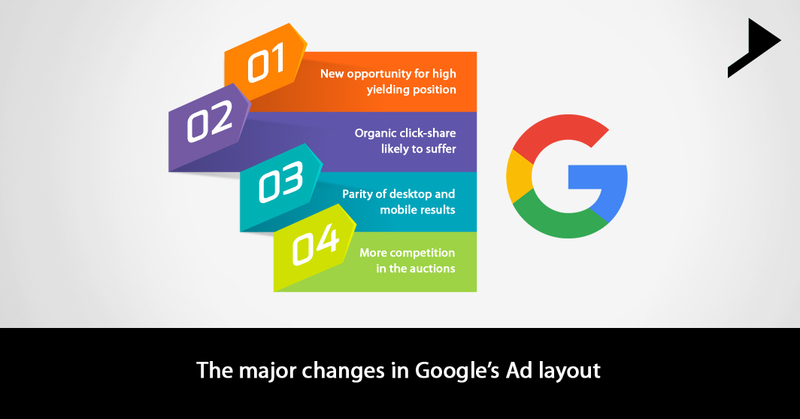 Google has announced a vital change for the appearance of paid ads on both desktop and tablet devices. Certainly lots of analysis have to come forward to know what these changes means for the advertisers? The side bar will be held only for Product Listing Ads (PLAs) and knowledge graph boards where applicable. Four text ads instead of three in the mainline area above the organic listings for more “highly commercial queries”. The move to four top- advertisements adds an additional opportunity for a higher yielding promotion position. Generally, positions 1-3 had a far more grounded Click Through Rate (CTR) over the advertisements served on the privilege. This was upgraded by the way that Google served these 1-3 promotions with the full suite of expansions, which frequently didn’t serve in the smaller space on the right side of the page. On search results with 4 top ads, taps on the top natural pursuit postings are prone to fall. This relates with a more extensive pattern we’re seeing on profoundly business terms where organic clicks are decreasing as a consequence of ads turning out to be more noticeable. The move additionally implies that desktop and tablet paid search advertisements now serve correspondingly to portable mobile. 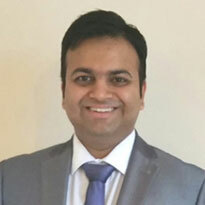 The equality of SERPs (Search Engine Results Pages) will permit a comparative offer technique to be connected to both and better correlations as far as ad positions. Desktop searches are declining year by year and mobile searches are increasing at a greater percentage. Google is striving hard on making the user experience consistent between mobile and search results. The move from 2 to 3 top position ads helped in increasing the mobile traffic from the clients paid search activities. Although this was an additional ad opportunity in an intense auction. The recent move removes upto 5 further ads which appears above the folds. This definitely drops down the number of impressions as well as the clicks which are potential in each auction. Meanwhile the notorious First Page bid of Google will definitely boom as advertisers now have 7 positions (4 at the top and 3 at the bottom) to appear on the first page. This is a big shift in the way both advertisers and users will interact with the search engine and one of the biggest changes seen in years. As there are only four spots for advertising on Google Adwords, the competition is going to become ferocious. This means the costs will be going up just to get your ad seen. To assure using Google AdWords in a profitable manner you have to be a lot better in using all the advanced features and ensure your website has a great rate of conversion.